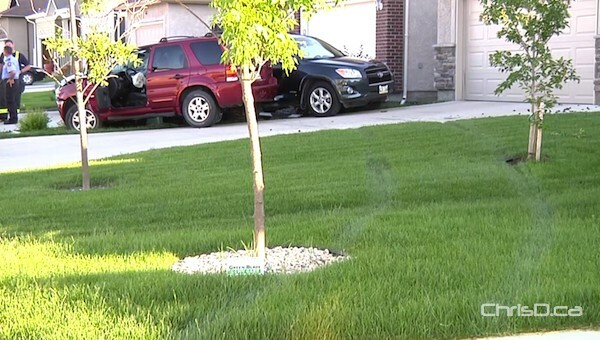 No one was injured Sunday after an SUV lost control and drove over several front yards in River Park South before crashing into a hydro box. The accident happened shortly after 7 p.m. in the 100 block of Vadeboncoeur Drive. Witnesses say the Ford Escape took a corner at a high rate of speed before crashing into a parked car and eventually striking two hydro pedestals. The female driver of the vehicle didn’t suffer any injuries. 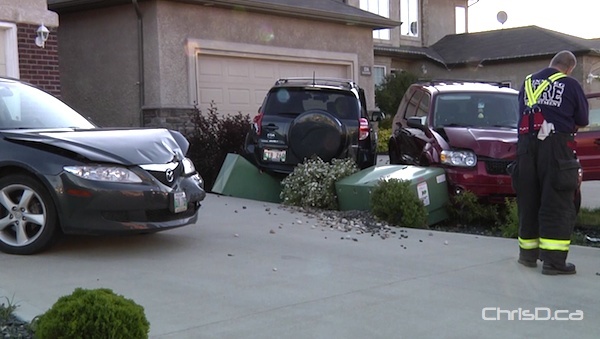 Manitoba Hydro attended the scene to turn off power to the boxes before removing the vehicles. The residential area was swarming with children at the time of the crash.